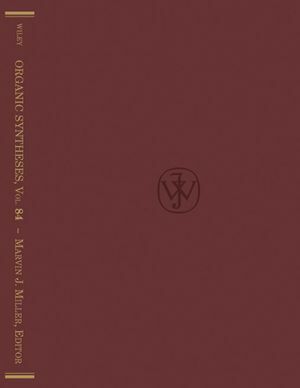 Organic Syntheses: Volume 84 continues the tradition of providing significant and interesting procedures, which should prove worthwhile to many synthetic chemists working in increasingly diverse areas. Marvin J. Miller received his B.S. in chemistry from North Dakota State University in 1971 and his Ph.D. from Cornell University in 1976. 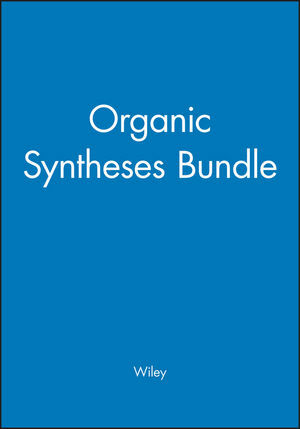 During his postdoctoral studies as an NIH Fellow in the Department of Chemistry at the University of California, Berkeley (1975- 1977), he studied the nature of porphyrin-peptide linkage in cytochromes and became involved in pyrrole syntheses. Since joining the chemistry faculty at Notre Dame in 1977, his emphasis has been in synthetic and bioorganic chemistry. He was an Alfred P. Sloan Fellow from 1981-85, an NIH Research Career Development Awardee (1983-1988), a visiting Fellow at the Australian National University (1988), a consultant for Eli Lilly and Co. (1980-), and is a member of the Editorial Advisory Board of Journal of Organic Chemistry.